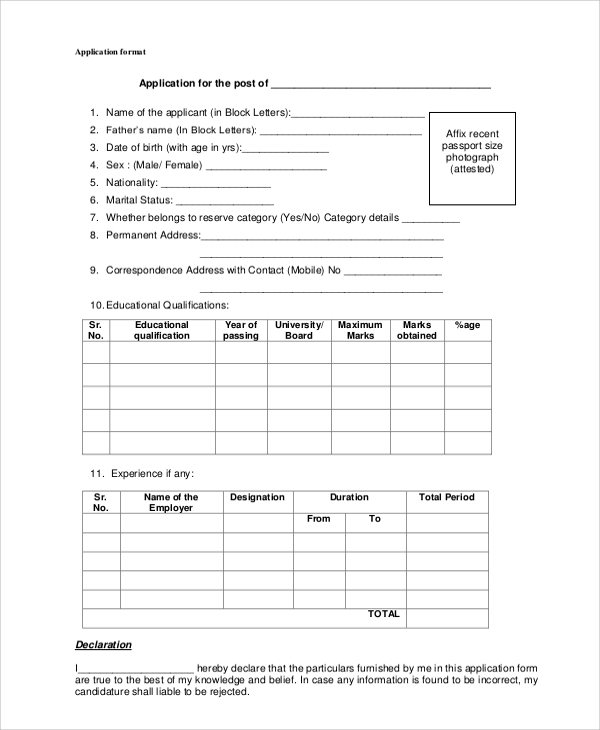 Companies use job application forms, and they release job application forms with their vacancy ads, walk in ads, or in job portals, etc. If you are a company and want to hire candidates in general or for a profile, then you will have to design an application form for the job role. Else you may make it simple, and get ideas on how to make an application form from the sample target application forms available on template banks. 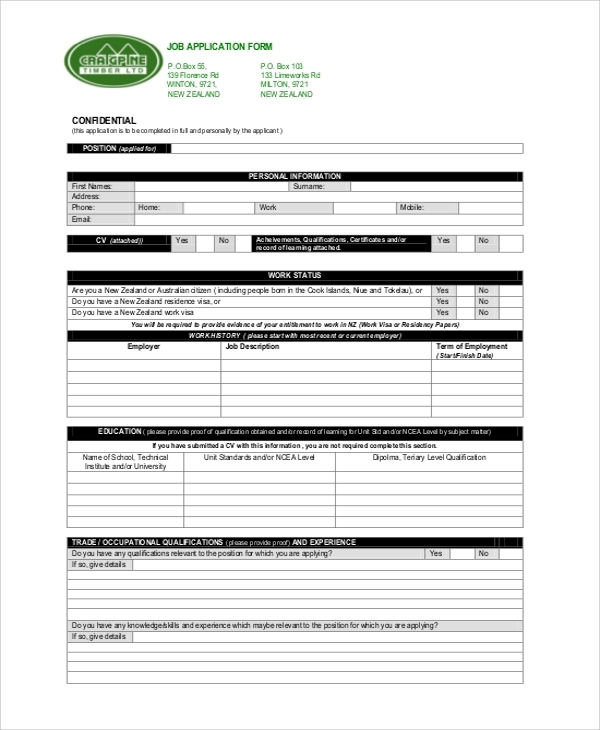 You may also download these free Sample Application Forms to work on them and personalize with your logo and company details to use them directly. 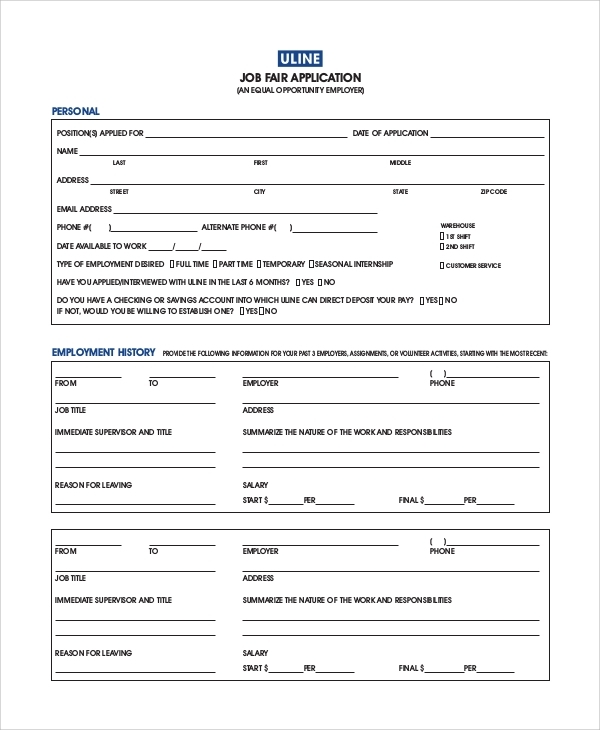 The old Navy job application form is one format, where the job application is made on the model of the company. It’s a boxed form, where there are several details to be filled. 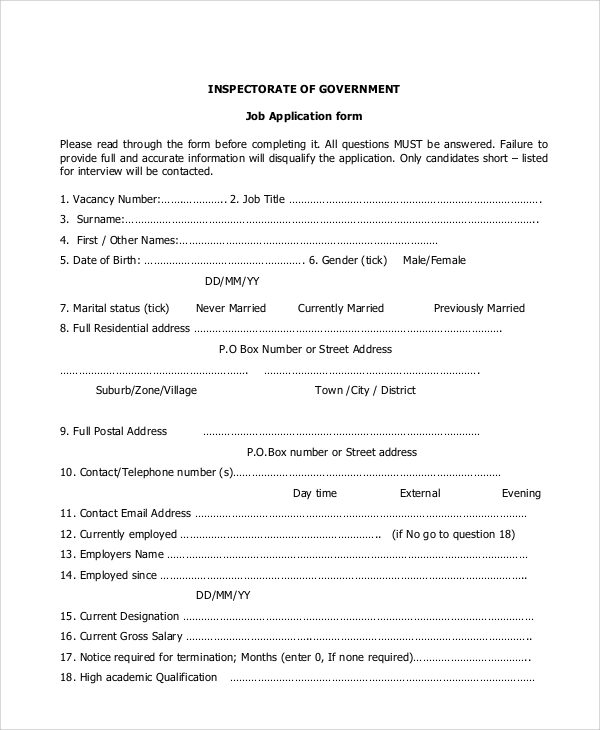 The government job application form is the one you will get in any government job portal where it’s suggested or can be filled and submitted for general job applications. 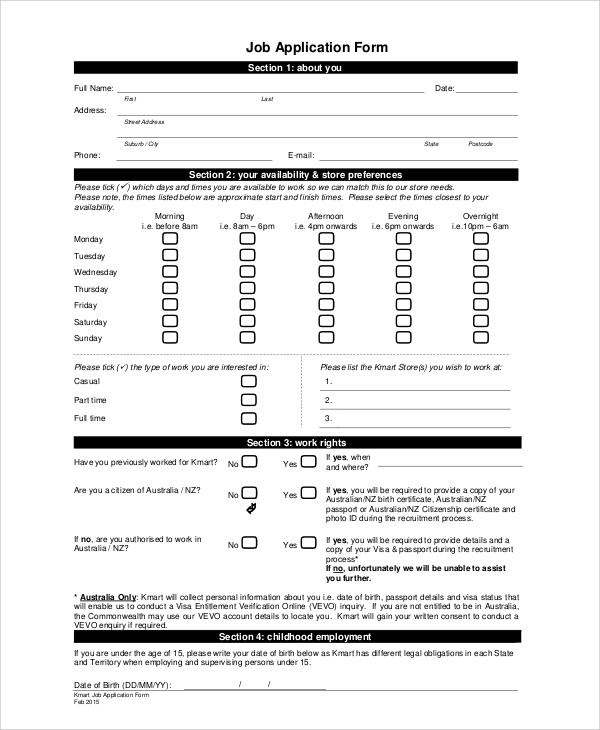 The generic job application form is an example for companies, who may want to download and personalize it for their use. They may provide this to the candidates for applying to their company. 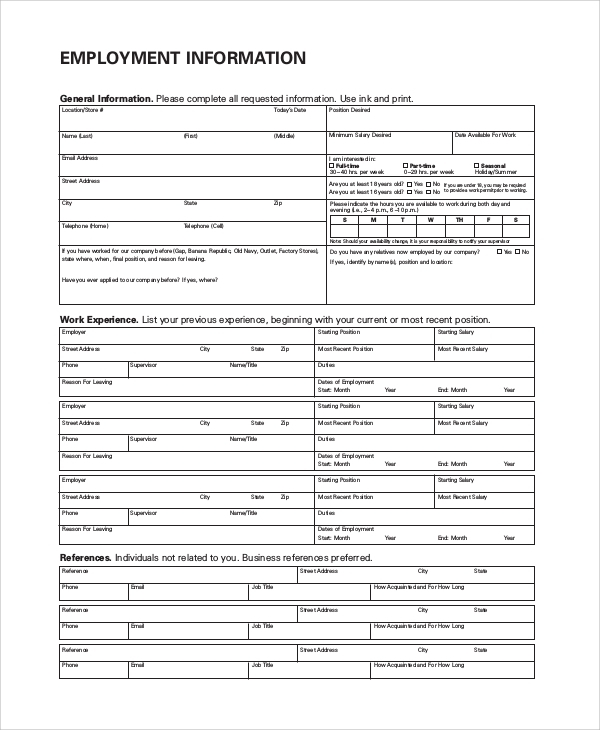 The confidential job application form is another form type where job applications forms are made in a familiar format, with particulars which are mentioned only in forms handled with confidentiality. 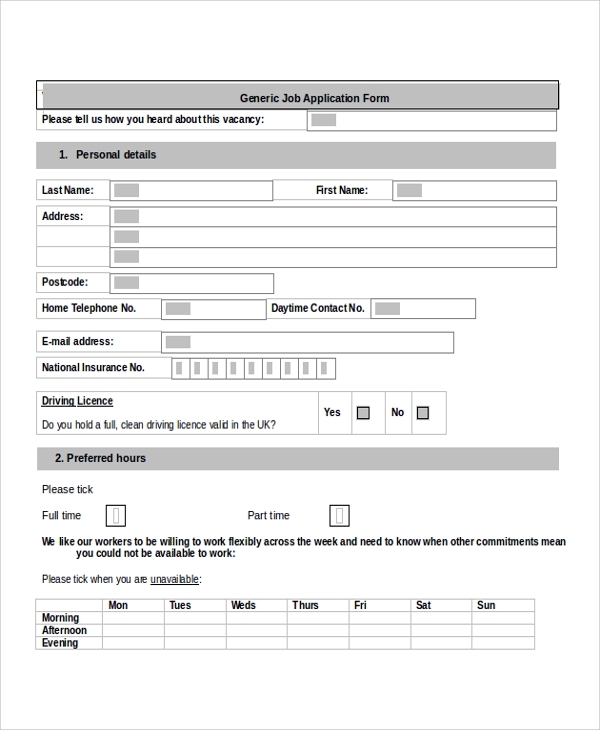 The blank job application form can be flexibly used by a company to add fields as they need. This basic format is suitable for making any job application. What is a Job Application Form For? The role of a Job Application Form is to give a platform to all the applicants that contain the same fields, and all would hence be compelled to provide the same set of data. This brings parity in applications, and companies get the same details from every applicant. This is an excellent practice, which helps in many ways. 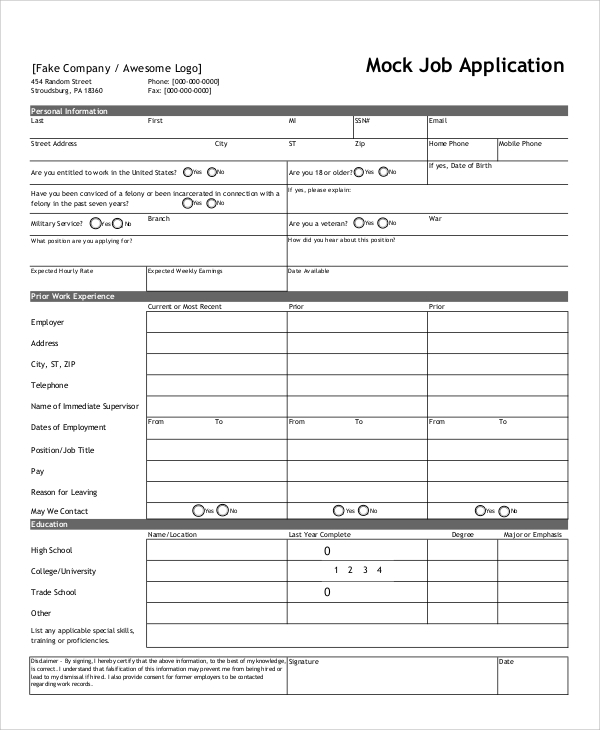 As every applicant fills the same form, they don’t have to think on their own what to fill up and write and what not. The fields guide them to the completion of the form. Also, the form once processed can be kept as records in hard copy in files, and can be scanned to be stored as digital records too. The primary use of a job application form is to bring all similar data from all applicants under the same banner, which gives the recruiter all similar looking applications to process at ease. The purpose is to generate a systematic approach to a job field. If there is no form format, then the recruiter will have to go through all the different styles of resumes and cover letters which can be a tedious and brain tiring job. Rather they prefer using one form format for sorting the whole thing, and it also highlights the information the company needs from the applicants. 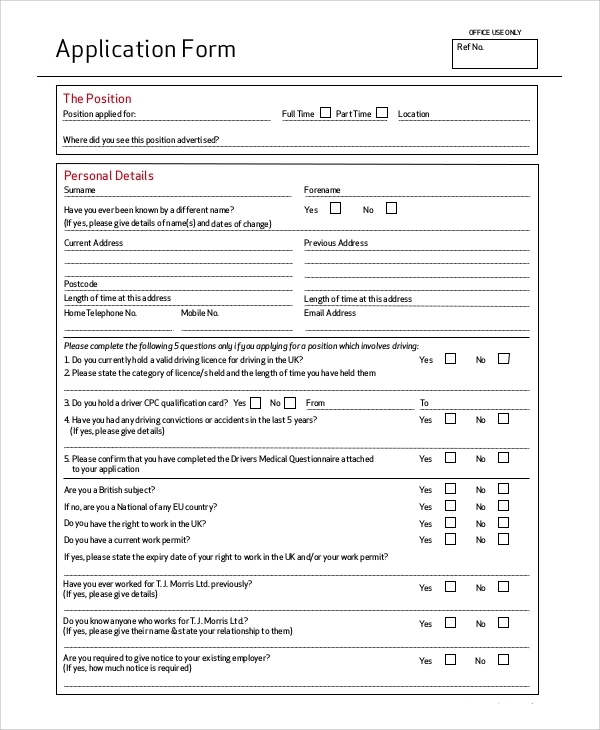 If you want to hire candidates for your company, then you can also download and use the free to use application form formats. These contain fields which are needed. You may indeed modify a few and delete a few if needed. Making of application forms have been made easier than ever through the availability of the Application Letter Format Samples.